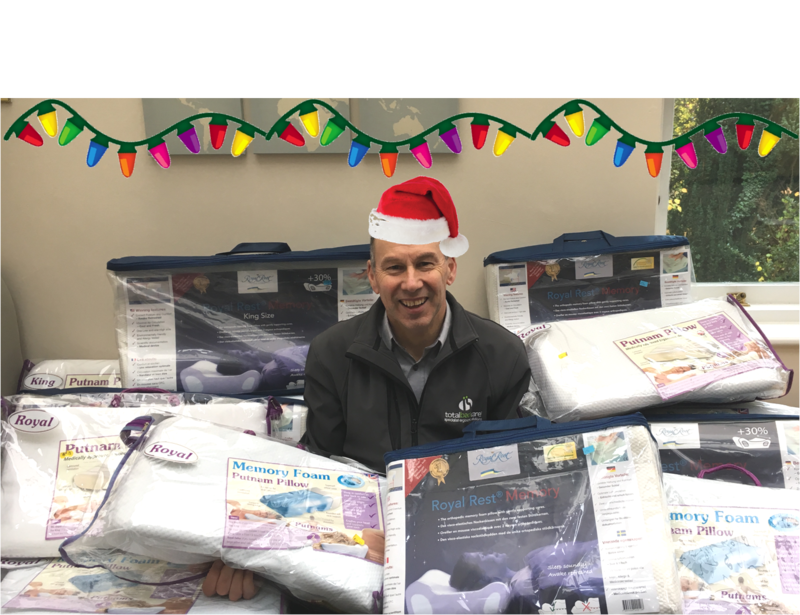 While some may say it’s too early for Christmas decorations and wrapping presents, here at the Total Back Care Centre, we understand you can never start the Christmas count down too early! The Christmas period is certainly one filled with not only festivities and excitement but also the undeniable stress of racing around the shops, organising the in-laws, and producing a festive feast to feed the masses. Thus, a good night’s sleep, which serves as a blissful escape from the mayhem of Christmas, is of upmost importance during this time. Fear not, the Total Back Care Centre is here to help- pillows to the rescue! With a range of specialist ergonomic pillows, book an appointment with Dr Rob Harrison at our Studio, to determine which pillow is best suited to ensure your sleeping alignment and get that good nights’ sleep! !